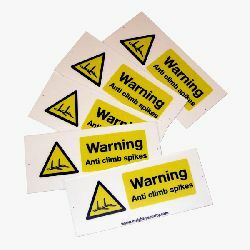 When using various anti-climb products such as anti climb spikes, fence spikes or anti climb paint - it is a statutory requirement to prominently display appropriate warning signs. 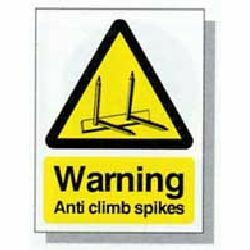 Failing to do so could result in civil action for injury or damage caused by the anti-climb precautions. 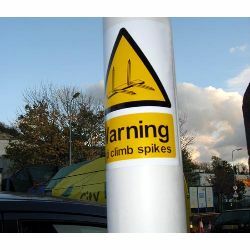 Anti climb spikes are a highly effective, highly visible intruder deterrent. Installing anti climb spikes on top of vulnerable barriers such as walls, fences and gates significantly bolsters property security. 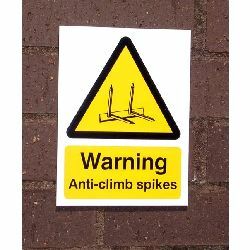 And warning signs for the presence of anti climb spikes reinforce the deterrence as well as protect the property owner from possible civil action. 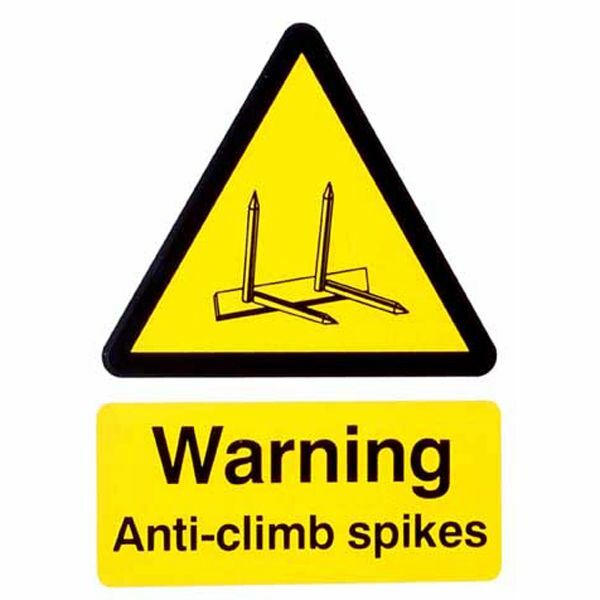 Warning signs for anti climb spikes need to be displayed so that they are easily seen by anyone approaching a protected barrier. 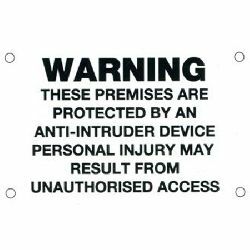 If spikes have been installed along a linear boundary, such as a wall or fence, then it should be ensured that signs are presented every 3 metres or less, to make certain they will be seen.